The Mayor and City Council appoint Boards, Commissions, Committee and Authority members as detailed in each description. Commissions are advisory bodies that make recommendations to the City Council for legal action. Citizens are welcomed to attend any Board, Commission, Committee, Authority or Council meeting. A list of the Boards, Commissions, Committees and Authorities of the city and their meeting times and locations can be found below. The most recent agendas and draft minutes are available in the text below as well as from the office of the City Clerk; the Clerk’s office also keeps copies of past meeting approved minutes. Meeting dates and times are subject to change. Notices of upcoming public meetings are available by visiting Government/Public Notices. If you would like to be considered for service on a city board, authority, or commission, apply using the Volunteer Application form below. If volunteering to serve and selecting more than one option, please number your choices. The Art and Culture Commission meets the 3rd Thursday at 6:30 pm in the Council/Court Chambers. Board members appointed by Mayor and Council. • The Community Forums would be held May 7th and May 14th from 6 – 8:00PM at the Ben Robertson Community Center in the large meeting room. The Cemetery Preservation Commission meets the 2nd Thursday at 4 pm in the City Hall Conference Room; 7 members, 4-year staggered terms. Qualifications: Persons who have family members buried in the Kennesaw City Cemetery and/or who own plots in the City Cemetery. Visit kennesawcemetery.org for more details; Click here for a brochure offering a guided walking tour of the cemetery. The Ethics Board meets the 3rd Tuesday of April and October, at 6 pm in the Ben Robertson Community Center; 5 members, 2-year terms. Qualifications: City resident with residency of 12 months prior to serving as a member. Shall not be a member of any other board or commission. The purpose of the Historic Preservation Commission is to promote historic preservation, educate the public about the importance of historic preservation, monitor the condition of all historic properties and structures, and review and provide decisions on all applications which involve changes in exterior architectural appearance or exterior environmental appearance within the historic districts. The HPC meets the 3rd Tuesday at 8 am in the Council/Court Chambers; 7 members, 2-year terms. Board members appointed by Mayor and Council. Qualifications: City and county residents with a majority being city residents. The Keep Kennesaw Beautiful Board works to empower Kennesaw residents to be responsible stewards of our natural resources through environmental education and awareness programs; reduction of litter and landfill fees through recycling initiatives; safeguarding public trees, and greenspaces; and volunteer activities. The Keep Kennesaw Beautiful Board meets the 2nd Monday of each month at 6 pm in the Council/Court Chambers. Members are appointed by the Mayor for 2-year terms. The Board consists of no less than seven (7) members. Membership is open to city residents; the residency requirements may be waived in the event there are not enough interested city residents to fill a majority of vacant memberships. City Council members may serve as liaison members of the Board but not as voting members; Mayor is an ex-officio member. Members are appointed by the Mayor and City Council. Read more about all the group’s initiatives on the Keep Kennesaw Beautiful Facebook page. The purpose of the Kennesaw Citizens Advisory Committee (KCAC) is to evaluate various initiatives, proposals, and programs from a citizen’s perspective and develop recommendations for the Mayor, Council and city staff. The KCAC meets the 4th Thursday of the month at 6:30 pm in the City Hall Council/Court Chambers, but may meet more frequently based on project demands. Members will be appointed by Mayor and Council. 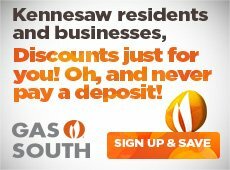 Qualifications: membership on the committee is limited to: a) residents of Kennesaw; b) Cobb County residents who reside within one (1) mile of the existing city limits of the City of Kennesaw; or c) business owners whose business is located within the city limits of Kennesaw and who have a current business license issued by the city. The KDA meets the 3rd Wednesday of each month at 6 pm in the City Hall Council/Court Chambers; 7 members, 4-year terms. Board members are appointed by the Mayor and Council. Qualifications: Must be a city taxpayer residing in the city, and no more than one member may be a member of the governing authority. The KDDA meets the 2nd Tuesday of each month at 7:30 am in the Council/Court Chambers; 7 members, 4-year terms. Board members are appointed by the Mayor and Council. Qualifications: (a) City resident, and/or (b) Owner/Operator of business in Downtown Development Area and resident of County, or (c) Owner/Operator of a business in the Downtown Development Area and a resident of the State of Georgia (1 member only); 8 hours of training in downtown development and redevelopment programs within 12 months. The board meets as necessary to consider Due Cause hearings. Post 1 and 2 serve two year terms, Post 3 serves one year term. No term limits. Members are appointed by the Mayor. Qualifications: Either a resident of the city or have an ownership interest as principal shareholder, general partner or sole proprietor in at least one business located in the city. A maximum of one alcohol beverage license holder, if any, may serve on the board. The Planning Commission meets the 1st Wednesday of the month at 7 pm at the City Hall Council/Court Chambers; 7 members, 3-year terms. Qualifications: City resident and registered voter. The URA meets on as as-needed basis; 3 members, 3-year terms. Eight hours of training is required within 12 months of appointment. The Construction Board of Adjustments and Appeals meets as needed. The Stormwater Committee meets as needed. The 911 Advisory Board meets annually.